It’s summer…the kids are out of school…vacations are planned…..and the last thing you need are plumbing woes! While plumbing problems can strike at any time, there are certain issues that seem to be more common in the summer months. Here are a few plumbing issues that appear to be more common in the summertime. Washing Machine: Ahhh, summer days in the sand or the pool!! Ball games, outdoor cookouts, and more! All things we enjoy during the summer and all things that are guaranteed to increase your laundry. When doing laundry, make sure to stay close to home so that if there are any problems, you can catch them quickly. Move your machine slightly away from the wall to keep the water hose from kinking. Speaking of the water hose, make to sure periodically examine them for leaks, cracks, or bulges. And remember, the larger the load, the harder the machine has to work. Keep to smaller load sizes to help avoid blockages which can lead to messy overflows. Drains: Drains are not designed to handle large amounts of sand, gravel, mud, or sea shells. Make sure to hose off outdoors when coming in from the beach and to knock off debris from your clothes before washing. Avoid bathing pets in the bathtub or make sure to trap fur and debris before it goes down the drain. Your pipes will thank you. Sewer lines: Your sewer lines are probably the last thing on your mind most days, much less during the summer, but summer can be hard on your sewer lines too. Heavy thunderstorms can cause the ground to become supersaturated. This brings loose soil into pipes through small cracks, which in turn causes blockages, broken pipes, and causes sewer lines to back up into the house. Also as tree roots search for water underground, they can cause damage and blockages to underground pipes. On the opposite side, lack of rain can cause soil subsidence which causes underground pipes to sag and eventually break. Video inspection of your pipes can keep you informed of the health of your plumbing. These are just some of the issues that face your plumbing during the summer months. A little home maintenance and attention is all it takes to avoid most of these issues. But sometimes the job is bigger than you can handle on your own. 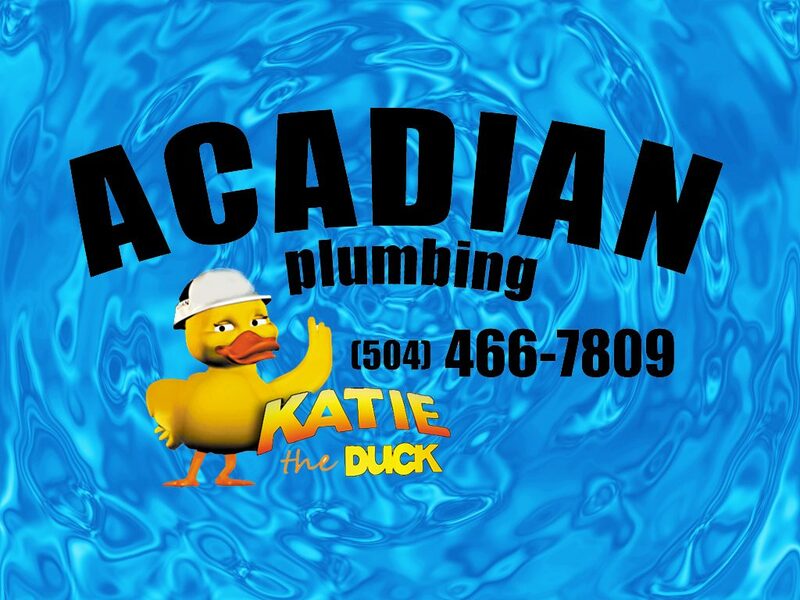 Acadian Plumbing is ready to assist you with all of your plumbing problems–large and small. Call us today! !